The brief for this project was to revamp the current website so that the opening times and the Driving Range Opening could be updated every day. The website is now live and well worth a look if you’re into playing golf. 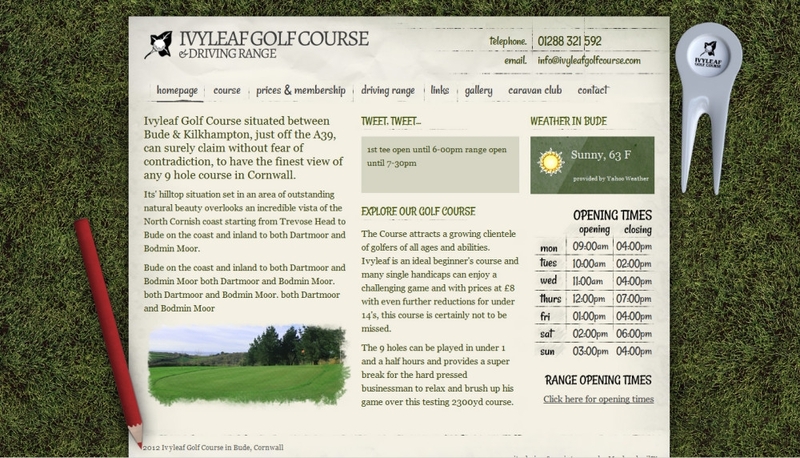 The inspiration for the website design came from the scorecards that golfers have as they’re going around the course. The idea was to replicate and give off the impression that the website is printed on a scorecard. The website itself retrieves the latest twitter message and uses Google fonts to give the effect that someone has written on the scorecard. It also connects to Yahoo’s Weather API to retrieve the latest weather conditions.